Abstract: Electron probe microanalysis (EPMA) is a fundamental analysis technique for the study of the Earth and planets materials. In the last decades, EPMA has been developed from its essential capacity of analyzing major elements for minerals to a series of innovative technologies, including trace-element analyses in crucial minerals, precise analysis of rare-earth minerals, chemical dating of accessory minerals, Fe3+ determination in Fe-rich minerals, and applications of field-emission gun EPMA (FEG-EPMA) and soft X-ray emission spectrometer (SXES). However, there are still many challenges in such innovative technologies as follows:(1) how to lower detection limit and improve the precision and accuracy; (2) how to eliminate the influence of the secondary fluorescence effect; (3) establishing new analytical and correction methods under low accelerating voltage conditions by using FEG-EPMA. EPMA analyses are expected to have great potentials involving the development of reference standards, secondary fluorescence effect correction, broad applications of FEG-EPMA and soft X-ray emission spectrometer, improvement of spectrometer and integration of multiple microbeam techniques. Therefore, EPMA would provide further abundant and accurate micron-scale information for geological samples. Allaz J, Selleck B, Williams ML and Jercinovic MJ. 2013. Microprobe analysis and dating of monazite from the Potsdam Formation, New York:A progressive record of chemical reaction and fluid interaction. American Mineralogist, 98(7): 1103-1119. Barkshire I, Karduck P, Rehbach WP and Richter S. 2000. 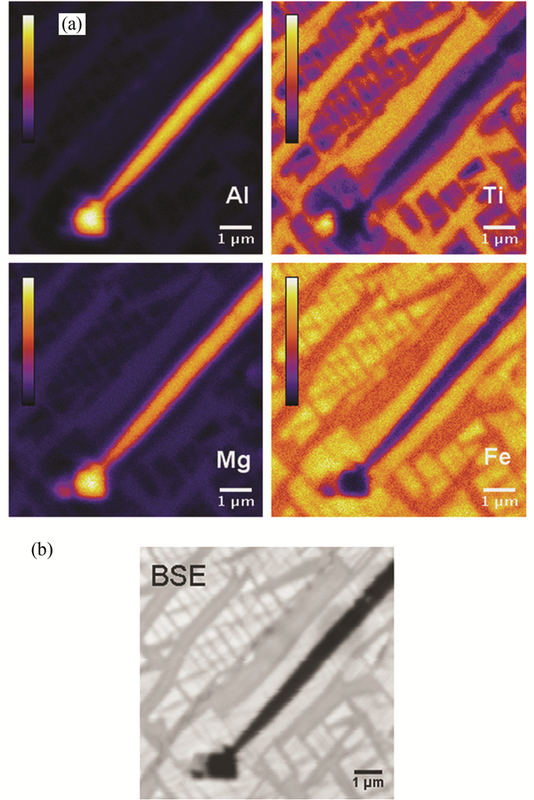 High-spatial-resolution low-energy electron beam X-ray microanalysis. Microchimica Acta, 132(2-4): 113-128. Carlson WD. 2006. Rates of Fe, Mg, Mn, and Ca diffusion in garnet. American Mineralogist, 91(1): 1-11. Chen ZY Yu JJ, Xu J and Zhou JX. 2006. Electron microprobe trace element analysis of rutile in eclogite. Journal of Chinese Electron Microscopy Society, 25(Suppl. ): 295-296. Donovan JJ, Hanchar JM, Piolli PM, Schrier MD, Boatner LA and Jarosewich E. 2003. A re-examination of the rare-earth-element orthophosphate standards in use for electron-microprobe analysis. The Canadian Mineralogist, 41(1): 221-232. Fialin M, Bézos A, Wagner C, Magnien V and Humler E. 2004. Quantitative electron microprobe analysis of Fe3+/∑Fe:Basic concepts and experimental protocol for glasses. American Mineralogist, 86(4): 654-662. Gervilla F, Cabri LJ, Kojonen K, Oberthür T, Weiser TW, Johanson B, Sie SH, Campbell JL, Teesdale WJ and Laflamme JHG. 2004. 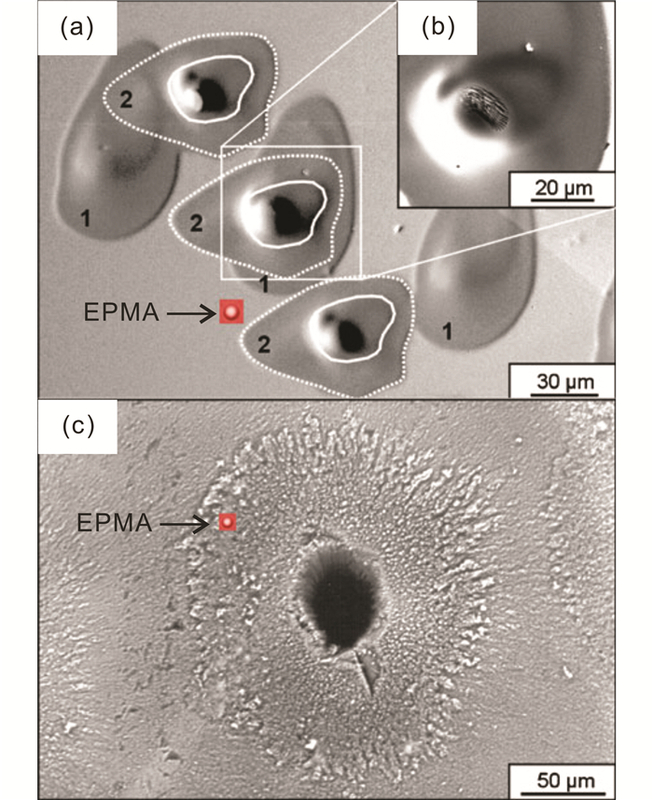 Platinum-group element distribution in some ore deposits:Results of EPMA and Micro-PIXE analyses. Microchimica Acta, 147(3): 167-173. Goemann K. 2011. Challenges in electron probe micronalysis 60 years after castaing:Examples from complex uranium and rare earth element minerals from Northern Australian ore deposits. Microscopy and Microanalysis, 17(Suppl.2): 578-579. Goldstein J, Newbury DE, Joy DC, Lyman CE, Echlin P, Lifshin E, Sawyer L and Michael JR. 2003. Scanning Electron Microscopy and X-Ray Microanalysis. 3rd Edition. Boston, MA: Springer. Götze J and Möckel R. 2012. Quartz:Deposits, Mineralogy and Analytics. Berlin, Heidelberg: Springer. Höfer HE, Brey GP, Schulz-Dobrick B and Oberhäensli R. 1994. The determination of the oxidation state of iron by the electron microprobe. European Journal of Mineralogy, 6(3): 407-418. Höfer HE, Weinbruch S, McCammon CA and Brey GP. 2000. Comparison of two electron probe microanalysis techniques to determine ferric iron in synthetic wüstite samples. European Journal of Mineralogy, 12(1): 63-71. Jercinovic MJ, Williams ML, Allaz J and Donovan JJ. 2011. Addressing accurate trace element analysis at high spatial resolution in EPMA. Microscopy and Microanalysis, 17(Suppl.2): 576-577. Jourdan AL, Vennemann TW, Mullis J, Ramseyer K and Spiers CJ. 2009. Evidence of growth and sector zoning in hydrothermal quartz from Alpine veins. European Journal of Mineralogy, 21(1): 219-231. Lan TG, Hu RZ, Fan HR, Bi XW, Tang YW, Zhou L, Mao W and Chen YH. 2017. In-situ analysis of major and trace elements in fluid inclusion and quartz:LA-ICP-MS method and applications to ore deposits. Acta Petrologica Sinica, 33(10): 3239-3262. Lin YT, Hu S, Miao BK, Xu L, Liu Y, Xie LW, Lu F and Yang J. 2013. Grove Mountains 020090 enriched lherzolitic shergottite:A two-stage formation model. Meteoritics & Planetary Science, 48(9): 1572-1589. Llovet X, Valovirta E and Heikinheimo E. 2000. 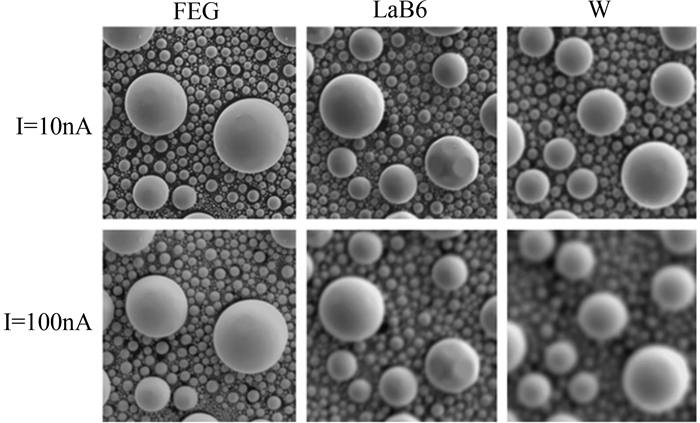 Monte Carlo simulation of secondary fluorescence in small particles and at phase boundaries. Microchimica Acta, 132(2-4): 205-212. McSwiggen P. 2014. Characterisation of sub-micrometre features with the FE-EPMA. IOP Conference Series:Materials Science and Engineering, 55(1): 012009. Pang RL, Zhang AC and Wang RC. 2017. Complex origins of silicate veinlets in HED meteorites:A case study of Northwest Africa 1109. Meteoritics & Planetary Science, 52(10): 2113-2131. Reed SJB. 2005. Electron Microprobe Analysis and Scanning Electron Microscopy in Geology. 2nd Edition. Cambridge: Cambridge University Press. Suzuki K and Adachi M. 1991b. 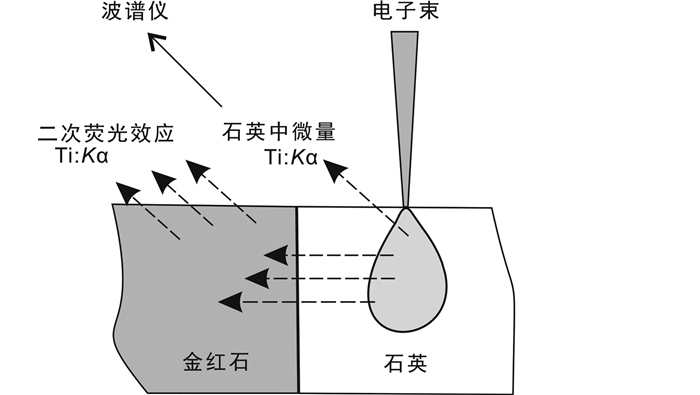 The chemical Th-U-Total Pb isochron ages of zircon and monazite from the gray granite of the hida terrane, Japan. Journal of Earth Sciences Nagoya University, 38: 11-38. Takahashi H, Mcswiggen P and Nielsen C. 2014. A unique wavelength-dispersive soft X-ray emission spectrometer for electron probe X-ray microanalyzers. Microscopy and Analysis, 15: 5-8. Treiman AH and Irving AJ. 2008. Petrology of Martian meteorite Northwest Africa 998. Meteoritics & Planetary Science, 43(5): 829-854. Wang J, Chen Y, Mao Q, Li QL, Ma YG, Yang YH and Song CZ. 2017. Electron microprobe trace element analysis of rutile. Acta Petrologica Sinica, 33(6): 1934-1946. Wang RC, Wang S, Qiu JS and Ni P. 2005. Rutile in the UHP eclogites from the CCSD Main Drillhole (Donghai, eastern China):Trace-element geochemistry and metallogenetic implications. Acta Petrologica Sinica, 21(2): 465-474. Wang SG. 1987. Study on quantitative analysis of rare-earth minerals with electron probe. Minerals and Rocks, 7(3): 99-105. Wu ST, Xu CX, Simon K, Xiao YL and Wang YP. 2017. 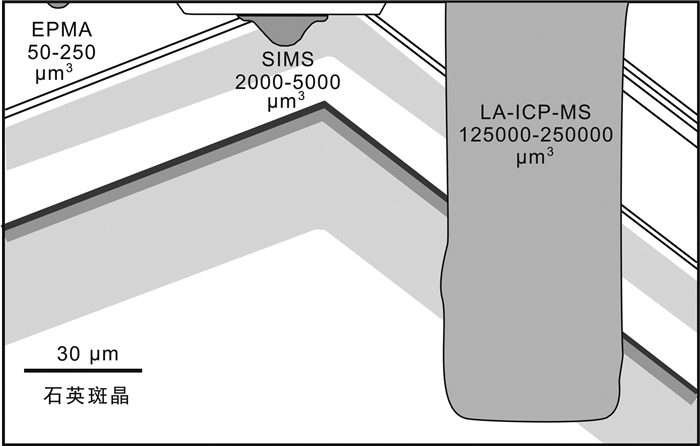 Study on ablation behaviors and ablation rates of a 193nm ArF excimer laser system for selected substrates in LA-ICP-MS analysis. Rock and Mineral Analysis, 36(5): 451-459. Yu JJ, Chen ZY, Wang PA, Li XF, Huang JP and Wang H. 2006. Trace elements geochemistry of eclogites in the northern Jiangsu Province, eastern China. Acta Petrologica Sinica, 22(7): 1883-1890. Zhuang SJ. 1983. Microprobe analysis of REE minerals. 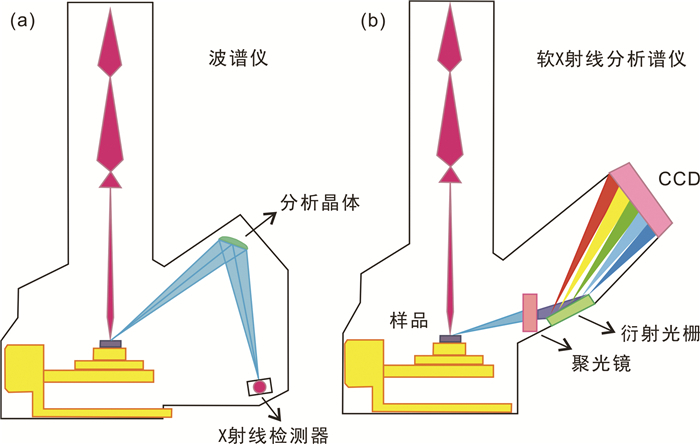 Journal of Chinese Electron Microscopy Society, (1): 45-51. 陈振宇, 余金杰, 徐珏, 周剑雄. 2006. 榴辉岩中金红石的微量元素电子探针分析. 电子显微学报, 25(增刊): 295-296. 蓝廷广, 胡瑞忠, 范宏瑞, 毕献武, 唐燕文, 周丽, 毛伟, 陈丽华. 2017. 流体包裹体及石英LA-ICP-MS分析方法的建立及其在矿床学中的应用. 岩石学报, 33(10): 3239-3262. 王娟, 陈意, 毛骞, 李秋立, 马玉光, 石永红, 宋传中. 2017. 金红石微量元素电子探针分析. 岩石学报, 33(6): 1934-1946. 王汝成, 王硕, 邱检生, 倪培. 2005. CCSD主孔揭示的东海超高压榴辉岩中的金红石:微量元素地球化学及其成矿意义. 岩石学报, 21(2): 465-474. 王树根. 1987. 稀土矿物电子探针定量分析研究. 矿物岩石, 7(3): 99-105. 吴石头, 许春雪, Simon K, 肖益林, 王亚平. 2017. 193nm ArF准分子激光系统对LA-ICP-MS分析中不同基体的剥蚀行为和剥蚀速率探究. 岩矿测试, 36(5): 451-459. 余金杰, 陈振宇, 王平安, 李晓峰, 黄建平, 王辉. 2006. 苏北榴辉岩中金红石的微量元素地球化学特征. 岩石学报, 22(7): 1883-1890. 庄世杰. 1983. 稀土矿物的电子探针分析. 电子显微学报, (1): 45-51.